Mahajan Medical Center welcomes our patients on Saturdays starting April 20th 2019 we will be open from 9am-2pm. Check back for additional dates or call the office. The Front Staff…All on standby to help you with your questions! This group is happy to help answer anything regarding your insurance, appointments, prescriptions, or messages to our providers! Wishing everyone a Very Happy and Safe Holiday Season! It is almost here!! Are you about to turn 65? or 64 and looking for a Medicare plan for 2019….Medicare OPEN enrollment. 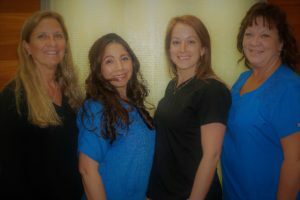 Call the office and talk to our staff about the plans we participate in OR stop in to ask and say Hi! A: The Medicare Open Enrollment period is from October 15 until December 7 each year (the dates changed in 2011, but have been the same ever since, and should remain as-is for the foreseeable future.). For 2018 Medicare coverage, open enrollment ended on December 7, 2017. For 2019 coverage, open enrollment will run from October 15, 2018, to December 7, 2018. 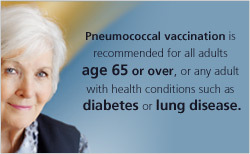 Ask your provider about getting the Pneumonia vaccine at your next visit. Our first add to the Mahajan Medical Center blog is a recipe for a delish easy Mediterranean meal. We will be sure to follow up with quips and jokes from Dr Mahajan himself as well as healthy daily living tips! We hope you enjoy this addition to the website and look forward to your feedback. A hallmark of Mediterranean dishes is that they derive deep flavor from simple ingredients prepared simply. 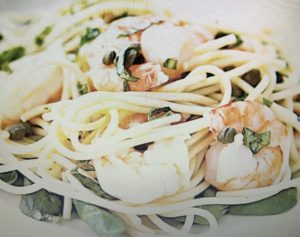 This dish is a great example: You cook the shrimp in the water with the pasta, then add herb basil, briny capers, rich olive oil, and bright lemon juice, no further cooking required. Serve on a bed of spinach or alongside broccoli, asparagus, green beans, or any other green vegetable.